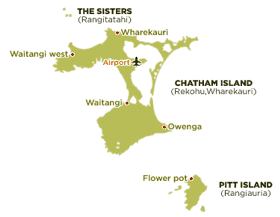 The Chatham Islands are the most easterly region of New Zealand and one of the most isolated and fascinating parts of the world. An archipelago made up of eleven islands - only two of which are inhabited - the Chatham Islands are a feast for the senses with volcanic peaks, towering sea cliffs and endless stretches of sandy beaches, magnificent wildlife and nature reserves. A destination for those with a sense of adventure, the Chatham Islands has a small but quality selection of holiday rentals and accommodation and so advanced booking is absolutely essential. The Chatham Islands are some 800km east of Christchurch and even have their own time zone, 45 minutes ahead of New Zealand time. They were the last major Pacific Islands to be settled, occupied by the Polynesians around 1000 years ago. 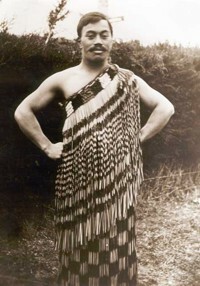 Isolated from other societies, the original islanders, known as Moriori, developed their own unique culture and called their home Rekohu. 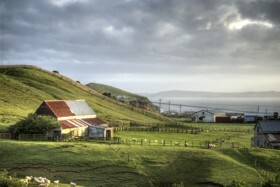 The first Europeans set foot on Rekohu in 1791 when the British ship HMS Chatham landed and settlement began in the early 19th century when sealers, whalers and farmers made their home here, followed by Māori tribes from New Zealand and the merging of those three distinct cultures has created the Chatham islanders who still live on the two main islands - Pitt and Chatham. Today the islands' economy is mainly based on fishing - the waters surrounding these rocky outcrops are abundant with crayfish, paua, kina and blue cod - with tourism on the rise as travellers discover its unique charms. 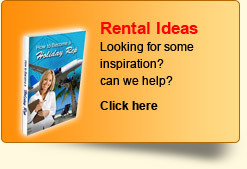 Holiday accommodation includes hotels, motels, self-catering accommodation and holiday rentals. There are many sites of historic interest on the Chatham Islands, which can be explored with the help of an approved guide. These include Moriori settlement sites and the memorial to Tommy Solomon, the last known full-blooded Moriori to live on the islands who became nationally known as a successful farmer and who died in 1933. Examples of Moriori rock carvings can be seen at Nunuku's Cave at Te Whanga where petroglyphs of seals and birds are carved into the limestone cliffs - the layers of shell deposits on the beach here date back 40 million years. The cave is on private land so visitors should seek permission in advance. 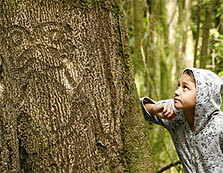 Tree carvings, known as rakau momori, are found all over the islands but the best can be seen in the kopi groves on the northeast of Chatham Island in the Hapupu National Historic Reserve and Taia Bush Historic Reserve. The carvings are often seen as stylised human figures, the style of which is now commonly used as an emblem of the islands. The reserves are spiritually important to the native people and provide a moving experience for visitors. Moriori and Māori artefacts, dinosaur bones and relics from the islands' whaling past can be seen in the Chatham Islands' museum, easily reached from visitors' holiday rentals or accommodation. A day trip to Pitt Island is a must do for any visitor to the Chathams and has to be booked. The 25-minute scenic flight is followed by a 4x4 tour of its 6300 hectares, narrated by experienced guides, then a home-cooked lunch and return flight. Other must-sees are Port Hutt, a scenic harbour that's particularly sheltered and picturesque; Glory Cottage, the oldest building on the islands - built in the 1860s for shearers, it has today been restored as a historic reserve; and Kopinga Marae, the official meeting place of Te Imi Moriori and adorned with Moriori carvings and treasures. And with a magnificent landscape and beaches to explore, the Chatham Islands are a wonderful destination for walkers, hikers and photographers. The inhabited islands are small with only 600 inhabitants but visitors will find a general store, restaurants and cafes to satisfy their needs during their stay in their holiday accommodation. The climate of the Chatham Islands is a temperate one and so the islands are a lovely destination all year round. In summer temperatures average between 15-24°C and the days are long, clear and warm. Winter brings occasional mild frosts but the temperatures generally average 6-10%deg;C with showers and wind more common. As the weather can be changeable, visitors are advised to be ready for all four seasons in one day so light jackets and sunscreen should be packed before leaving the holiday rentals for a day out. Travellers heading for the Chatham Islands can only arrive by one of two ways - by plane or by boat. There are flights via Air Chatham from Auckland, Wellington and Christchurch 4-6 times a week but day trips are not possible as the flight does not return on the same day. The flights takes around 90 minutes and as there is no public transport or shuttle bus from the airport, visitors will have to arrange a pick-up. A two-day trip by boat can also be arranged between Napier and Waitangi, the boat leaving every 10-12 days. 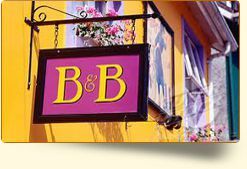 Visitors are advised to arrange holiday accommodation and any transport before flying to the islands.